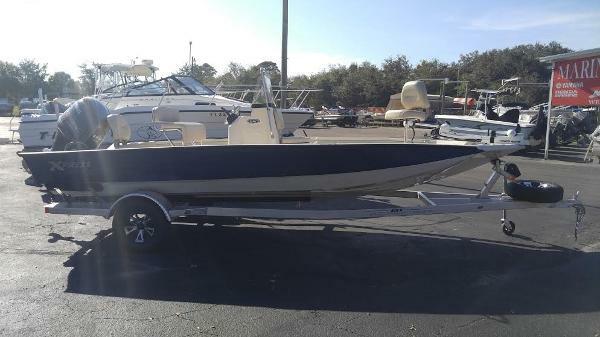 2012 Xpress H20B 2012 H20Bay Xpress w/115hp Mercury four Stroke (342hrs) ,Options include two pedestal fishing seats ,lean post ,Humminbird fishfinder/depth finder, Fusion stereo with 4 Boss marine speakers and all aluminum back track trailer. Come take a look or call for more info!!! Style and elegance depict the outward appearance of our Hyper-Lift® Bay, yet dont think this beauty cant be a tough boat in rough conditions. 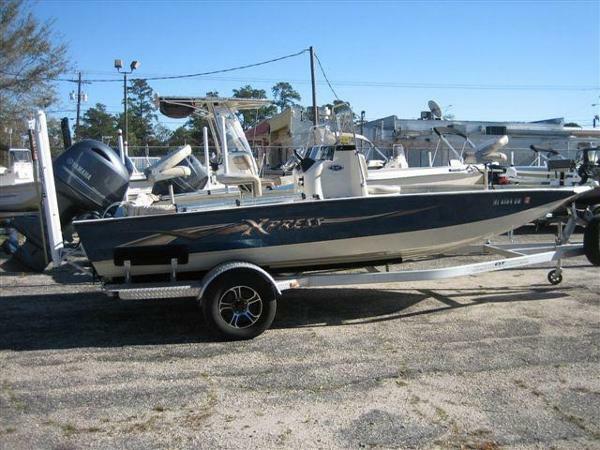 Xpress Boats Hyper-Lift® Bay Boats affordably provide strength and stability. Wet decks are no problem with our Xtreme Coat floor liner and large storage compartments are perfect for holding all the things you need for a successful day on the water, pursuing permit or perch, trout to tarpon. 2017 Xpress H20B 2017 Xpress H20B 20' Hyper-Bay Series. The Hyper-Lift Series was designed to include more of what you want at a price you can afford. Powered by a fuel efficient and reliable Yamaha SHO 115hp (stainless steel prop included). You'll enjoy the amazing performance of the Hyper-Lift Hull combined with roomy layouts and extended casting decks. 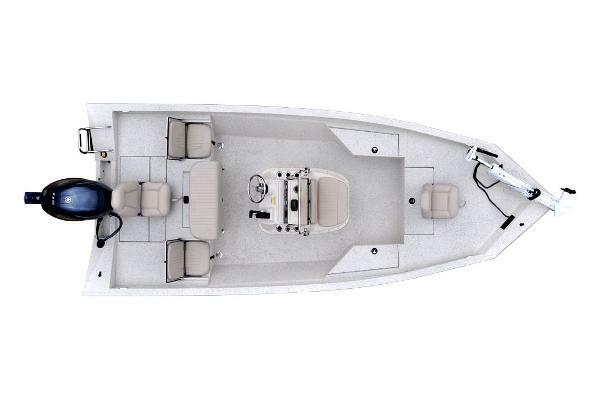 Popular features such as large aerated livewells, lockable rod lockers and plenty of storage are all included along with a 70lb Thrust Minn Kota Riptide Saltwater Trolling Motor, Xtreme Red Fish Package, S/S Prop, Leaning post, Alum Wheels, Helix 9 Humming Bird GPS Combo and hydraulic steering. Please contact Gulf to Lake Marine at with any questions. 2017 Xpress H20B Style and elegance depict the outward appearance of our Hyper-Lift® Bay, yet dont think this beauty cant be a tough boat in rough conditions. Xpress Boats Hyper-Lift® Bay Boats affordably provide strength and stability. Wet decks are no problem with our Xtreme Coat floor liner and large storage compartments are perfect for holding all the things you need for a successful day on the water, pursuing permit or perch, trout to tarpon. 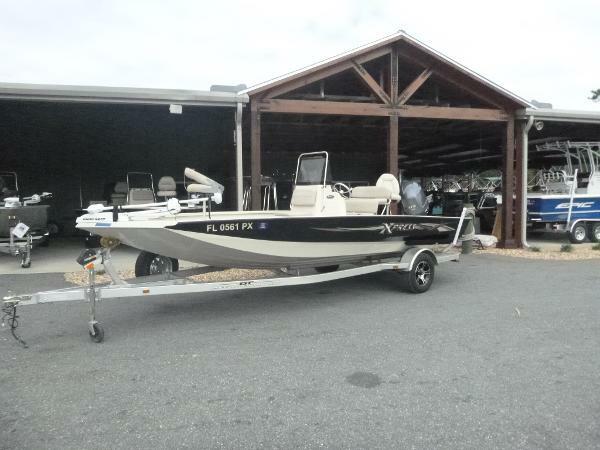 This boat comes equipped with a Yamaha Vmax 115 4-stroke and comes with aluminum trailer with upgraded wheels. 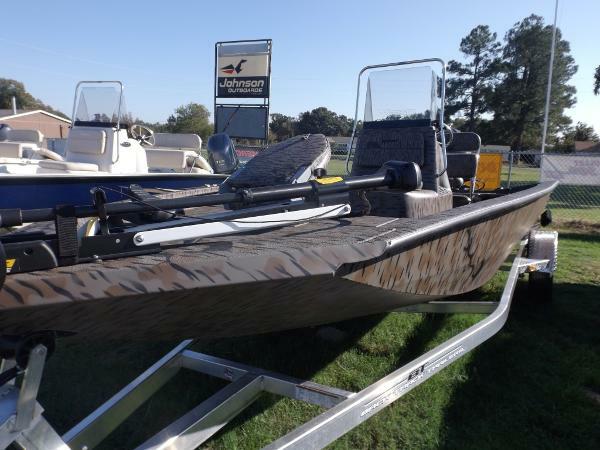 This boat also has 70lb thrust minn-kota trolling motor, GPS, stainless steel upgrade package, and leaning post with back rest. 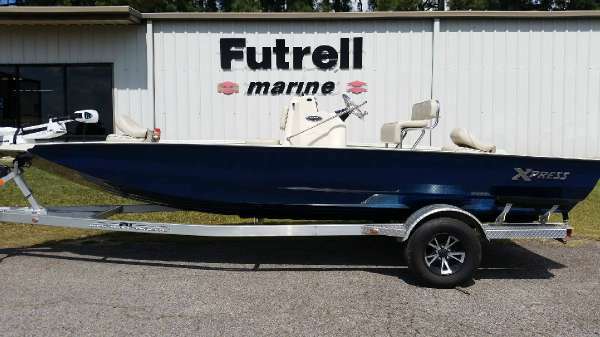 This boat is in stock and ready to go. 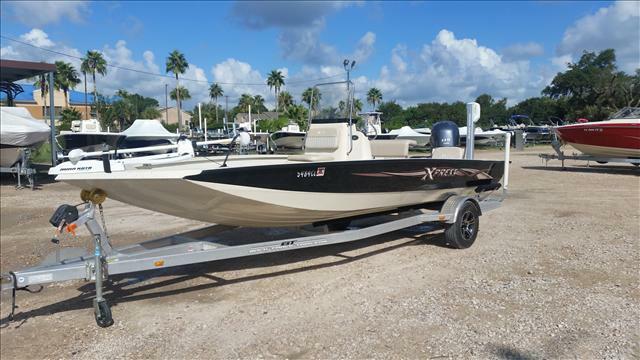 2017 Xpress H20B This New Xpress H20B Hyperlift bay boat is powered by a dependable Yamaha VF115 SHO ( Super High Output) Fourstroke outboard. features Gulfsand and Charcoal two tone paint, Redfish Package including Minnkota Riptide SM70 24 Volt Saltwater Trolling Motor, Humminbird Helix 5 Color GPS/Sonar, Xtreme Bay stainless package includes stainless steel leaning post with backrest and foot rest, stainless steel steering wheel, stainless steel rod holders, stainless steel cupholders, 6 stainless steel fold down cleats, and stainless steel prop. 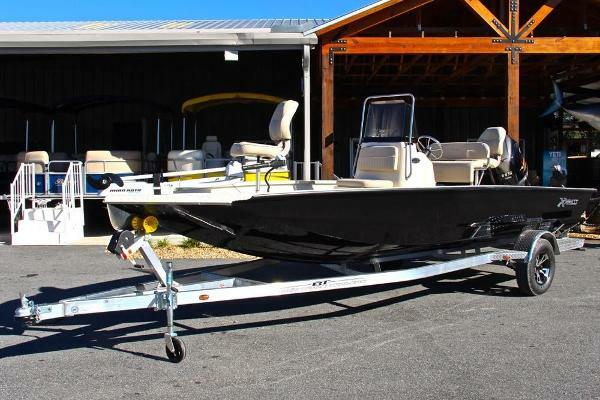 Boat also comes with a Back Track aluminum trailer with aluminum wheels, 14" radial tires, LED lights, and maintenance free "Vortex" Hubs. Boat comes with 3 batteries, serviced, and ready for the water. This boat is very family friendly with its 8 person capacity. 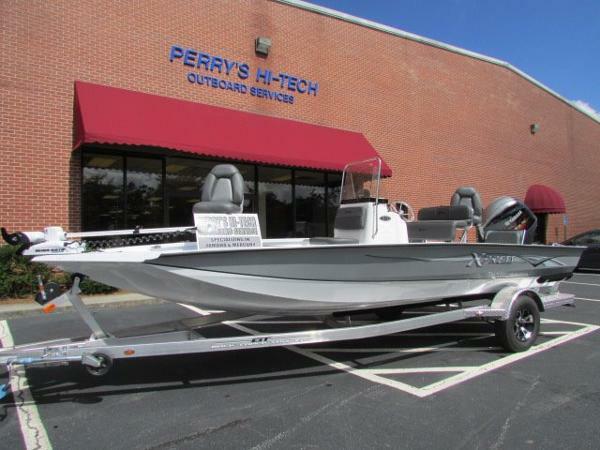 Boat features a console mounted baitwell, rear livewell, rear flip down seats, two pedestal fishing seats, gauges, nav lights Style and elegance depict the outward appearance of our Hyper-Lift® Bay, yet dont think this beauty cant be a tough boat in rough conditions. Xpress Boats Hyper-Lift® Bay Boats affordably provide strength and stability. Wet decks are no problem with our Xtreme Coat floor liner and large storage compartments are perfect for holding all the things you need for a successful day on the water, pursuing permit or perch, trout to tarpon. 2017 Xpress H20B Style and elegance depict the outward appearance of our Hyper-Lift® Bay, yet dont think this beauty cant be a tough boat in rough conditions. Xpress Boats Hyper-Lift® Bay Boats affordably provide strength and stability. Wet decks are no problem with our Xtreme Coat floor liner and large storage compartments are perfect for holding all the things you need for a successful day on the water, pursuing permit or perch, trout to tarpon. This Xpress H20B is powered by the Yamaha VF115LA and equipped with the Red Fish Package, Xtreme Bay Stainless Package, Aluminum Spare and Mount, 3D Chrome Logo, and Stainless Steel Prop Upgrade. The H20B continues to be one of Xpress' most popular models! Call or stop by today! 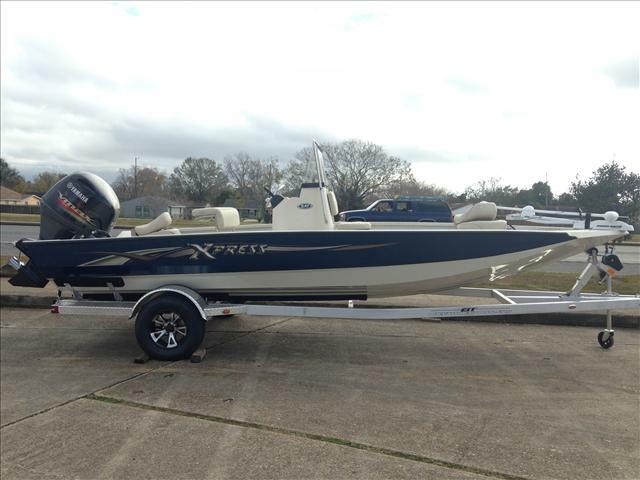 2016 Xpress H20B OUR 2016 ARE IN AND PRICED TO SELL- PRICED LAKE READY-JUST ADD 7% SALES TAX. 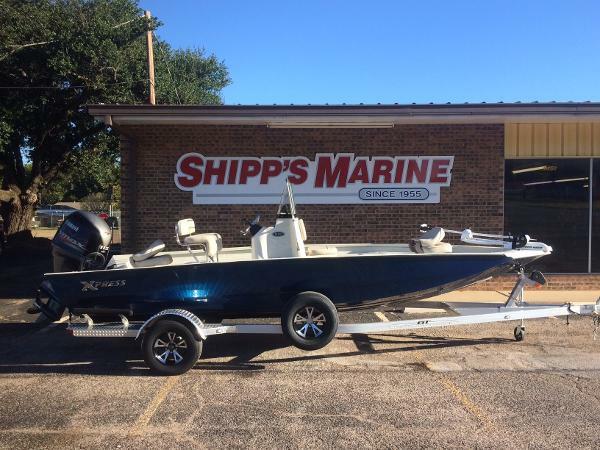 THIS ONE HAD YAMAHA VF115LA HI OUTPUT FOUR STROKE-XTEME BAY STAINLESS PACKAGE-REDFISH PAKAGE-2 BANK CHARGER-SWIM LADDER-CSHION SE-UPGRADE BASE COLOR-AND THE MUST HAVE MINNKOTA RT 80 IPILOT!! ALUMUNIUM WHEEL UPGRADE-HUMMINGBIRD HELIX 5- THIS IS A BEAUTIFUL BOAT WITH MANY EXTRA FEATURES! WE HAVE A DEMO IN STOCK READY FOR LAKE TEST NOW. 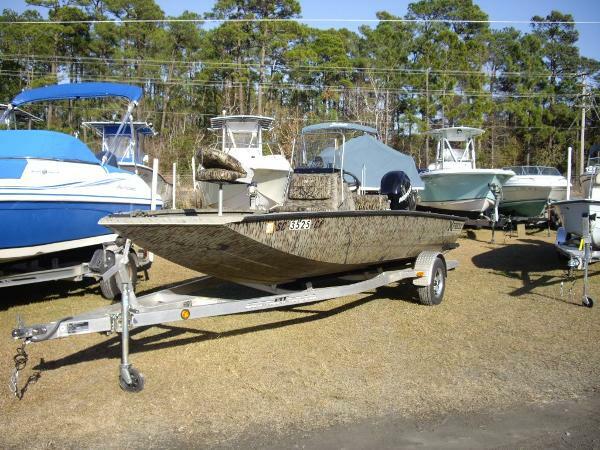 COME SEEWHY THESE ARE THE BEST METAL BOATS ON THE MARKET WITH THE HIGHEST RESELL FOR YEARS TO COME. WE ARE LOCATED MINUTES FROM LAKE LANIER OFF FRIENDSHIP RD IN BUFORD GA- 30 MINUTES NORTH OF ATLANTA. CALL 770-294-5483OR SEND A TEXT FOR INFO! BELOW IS STANDARD FEATURES EQUIPPED ALONG WITH WHAT ADDED FEATURES COME EQUIPPED. VISIT PERRYSMARINE.COM FOR MORE PHOTOS AND MORE INVENTORY. 2015 Xpress H20B 2015 Xpress H20B 20' Hyper-Bay Series. Powered by a fuel efficient and reliable Yamaha 115hp (stainless steel prop included). 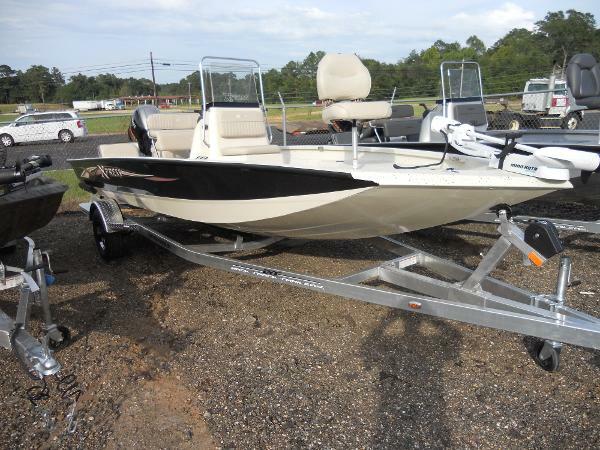 Extended casting decks, large aerated livewells, 8' Blade power pole w/ bracket, lockable rod lockers and plenty of storage are all included along with a 70lb Thrust Minn Kota Riptide Saltwater Trolling Motor, Red Fish Package, S/S Prop, Leaning post, Alum Wheels, 365i Humming Bird GPS Combo. Please contact Gulf to Lake Marine with any questions. 2017 Xpress H20B Style and elegance depict the outward appearance of our Hyper-Lift® Bay, yet don’t think this beauty can’t be a tough boat in rough conditions. Xpress Boat’s Hyper-Lift® Bay Boats affordably provide strength and stability. Wet decks are no problem with our Xtreme Coat floor liner and large storage compartments are perfect for holding all the things you need for a successful day on the water, pursuing permit or perch, trout to tarpon, hydraulic steering, stainless prop, 70# trolling motor. 2017 Xpress H20B $271.OO PER MONTH WITH APPROVED CREDIT AND THIS UNIT IS YOURS,, ALSO IF YOU QUALIFY FOR BETTER RATES WE HAVE THEM AS LOW 4.99 NO MONEY DOWN ... CALL US ... OK THIS UNIT JUST CAME IN AND ITS NICE;;; ITS ORIGINAL ALL WELDED ALUMINUM BOAT WITH 0.125 ALUMINUM AND FOAM FILLED AND ALL XTREME COATED;; IT HAS SOME NEW FEATURES FOR 2017;; HAS A NEW SEA DECK STEP PAD ON BOW;; THIS UNIT IS ALL ALUMINUM EXCEPT FOR FIBERGLASS CONSOLE;; NO RIVETS; NO WOOD;;; THIS UNIT IS 20'3" LONG AND 95" BEAM HYPERLIFT HULL;; CHARCOAL/GULDSTAND;; HAS A YAMAHA VF115LA;; WITH BAYSTAR STEERING;; AND SS PROP;;** NOTE MOTOR HAS FIRST 2 HOUR BREAK-IN ON THE MOTOR*** HAS BAY STAINLESS PACKCAGE ;; WITH IF WE NEED CAN DD A XTREME STAILESS IF YOU WANT FOR ADDITIONAL CHARGE;;; HAS REDFISH PACKAGE WITH A HELIX 5 COLOR GPS GRAPH;; AND RIPTIDE 70 24 VOLT TROLLING MOTOR***NOTE WE ARE LEAVING GRAPH AND TROLLING OFF;; SO IF YOU WANT TO CHANGE BRAND OR SIZE WE CAN ;;; BUT THIS UNIT COMES WITH THE HELIX 5 AND RIPTIDE 7O;;**** HAS 2 BANK CHARGER FOR TROLLING MOTOR.... COMES WITH ALUMINUM SINGLE AXLE TRAILER WITH 100,000 MILE 6 YEAR WARRANTY AXLES NO MAINTENANCE AXLE... ALUMINUM WHEELS SALT TRAILER AND ALUMINUM SPARE;;; COMPLETE UNIT READY TO GO ALL DEALER PREP... NO HIDDEN CHARGES..... 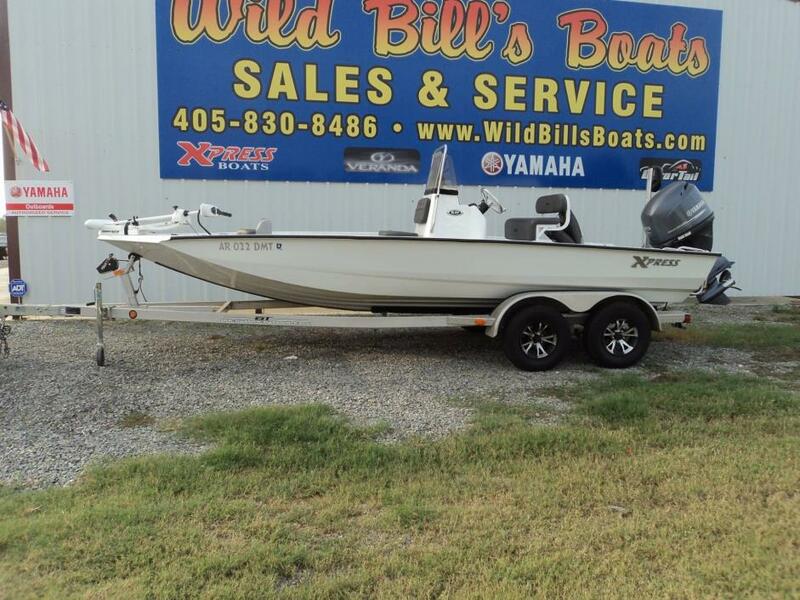 CHECK OUT VIDEO OF THIS UNIT BEING DRIVEN WITH GO-PRO CAMERA;;; YOU CAN FEEL THE RIDE;;; CHECK OUT ON WILDBILLSBOATS.COM;;; AS SAID WE CAN FINANCE CALL US !!!!!! 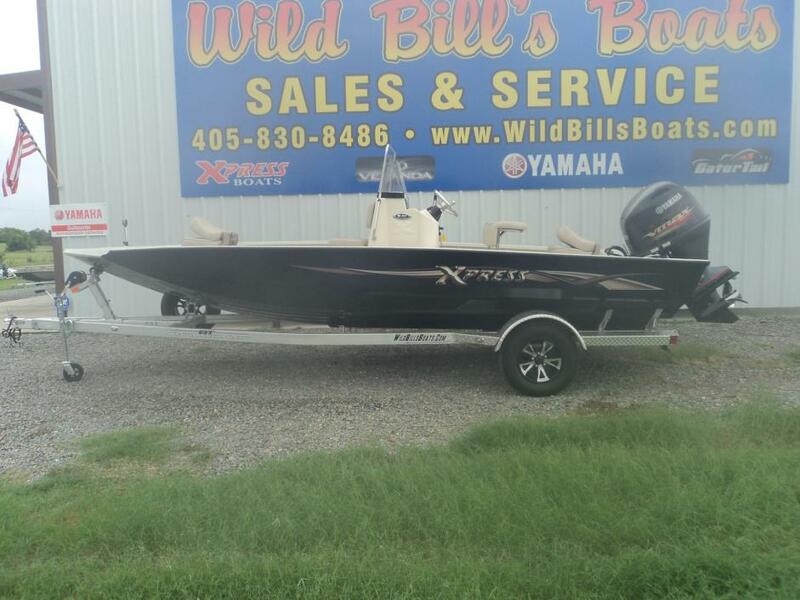 CALL ""BILL"" DIRECT 405 830 8486 OR SHANE AT 580 380 2444;;; EMAIL ME DIRECT AT BILL@WILDBILLSBOATS.COM FOLLOW US ON UTUBE AT WILD BILL'S BOAT'S AND FACEBOOK AT WILDBILLSBOATS;; JOIN US ON FACEBOOK;;;; WE SELL XCITEMENT WE SELL XPRESS BOATS...COME SEE ME AND SHANE AT LAKE TEXOMA THX BILL WE ARE HERE FOR YOU!!!! !